Over the years and with the progress of the story, we can objectively observe a mental and physical growth concerning Ash, and this is an established fact. 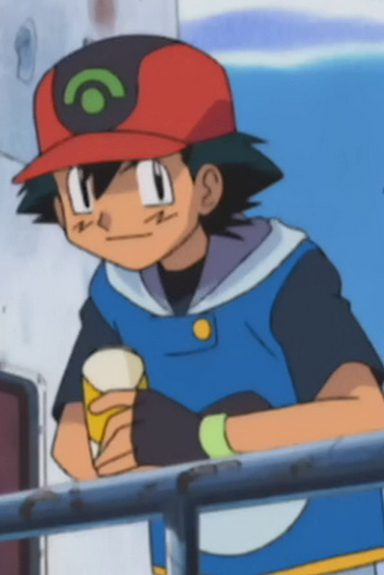 Watching the episodes is impossible to not notice that in the first series Ash had a totally different behavior from now, which is now unequivocally more mature. 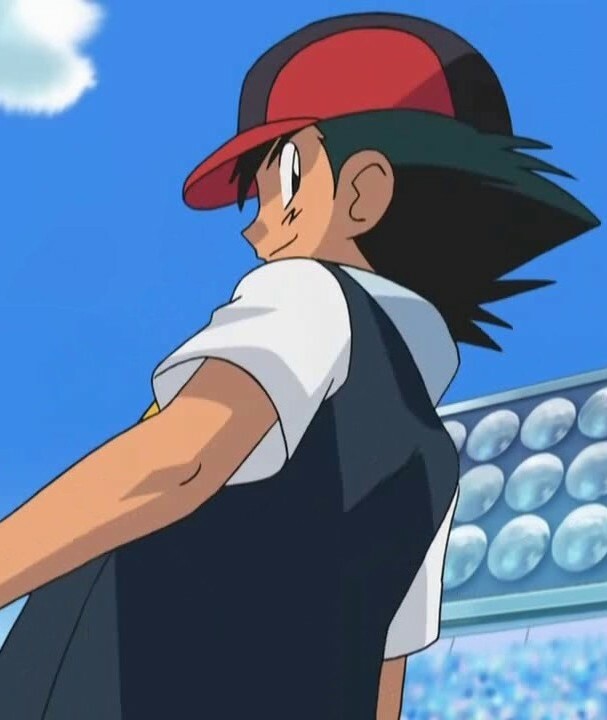 For example, in the early seasons Ash often brags about small successes and had a childish arrogance, but now, since he’s matured, he doesn’t even think to behave in this way and he even scolds (in his own way ) those who make this mistake. Ash’s way of reasoning and his way of relating to the others are also visibly changed from the first series, and this was undoubtedly noticed by those who have always followed the anime assiduosly. 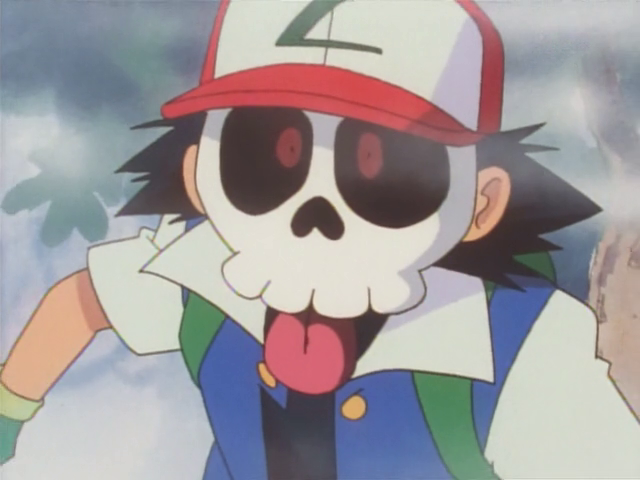 In fact, the book “The Japanification of Children’s Popular Culture” emphasized Ash’s growth and development as the anime series progressed. 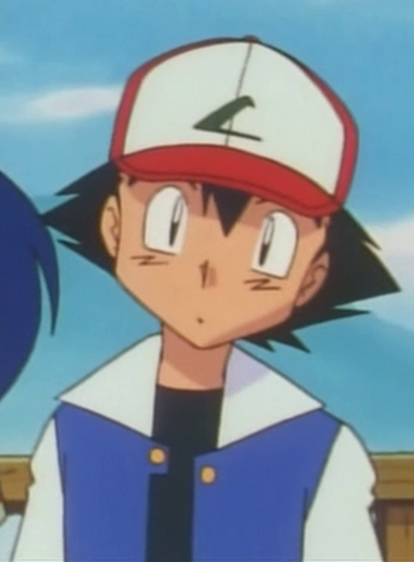 Let’s see specifically how Ash has changed over the years. 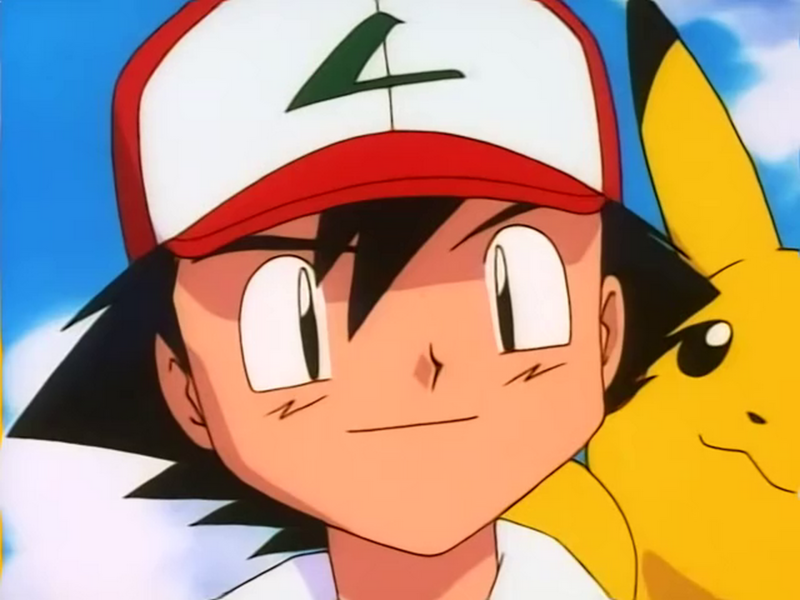 In the first series, Ash had just started his journey. Ev en though he was only at the beginning of his trainer career and he never put an effort in studying Pokémon when he was at school, he showed a good knowledge of the attacks that every pokemon was able to use, and you can easily see his talent for Pokémon Battles, although it was still immature and neede d to properly develope his ability, since Ash was still clumsy and inexperienced; because of this, in Pokémon Battles, he always needed Misty’s and Brock’s suggestions. Even in his first tournament of the Pokémon League they sat on the sideline as assistants. 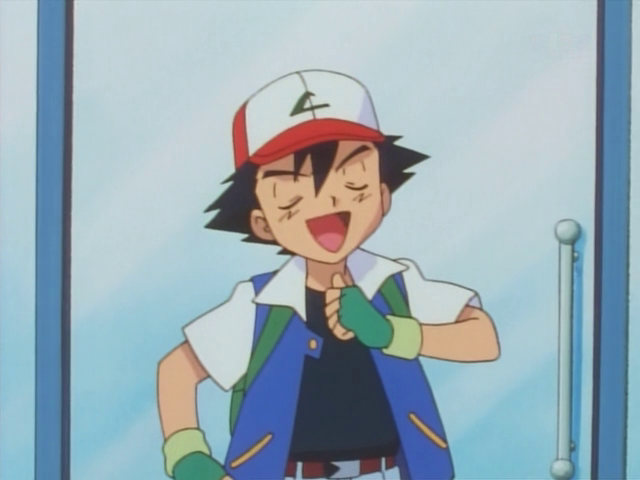 Ash’s behaviors were obviously childis h, and in fact, after every success he tended to become conceited (often becoming quite obnoxious) and euphoric. When he doesn’t act as a vain bo y, he is quite cute. Ash has always been a nice and polite guy, however, he always said what he thought and that made him sincere, but somewhat cheeky. At that time, he was also very spiteful, especially towards Misty who often did not appreciate his humor at all. He kept his particular feature with him: being a prankster is part of his own personality but, of course, it’s not as obvious as when he was a child. The courage, of course, is a quality he always had, although in the first series he was a little crybaby and, though he did not want to admit it, he was terrified of spectral and ghostly places. In the Orange League we can start seeing a little maturity in his attitudes, although occasionally he continued adopting conceited behaviors (this is until the “Battle Advanced” series). In the Johto saga, in his favor there’s the fact that he actually matured as a trainer: In fact, it is from this point in time that his talent as a strategist comes out, proving to be very able to get out of critical situations using his now famous sudden strategies (in depth analysis on THIS LINK) which in most cases were based on the exploitation of the battle field. 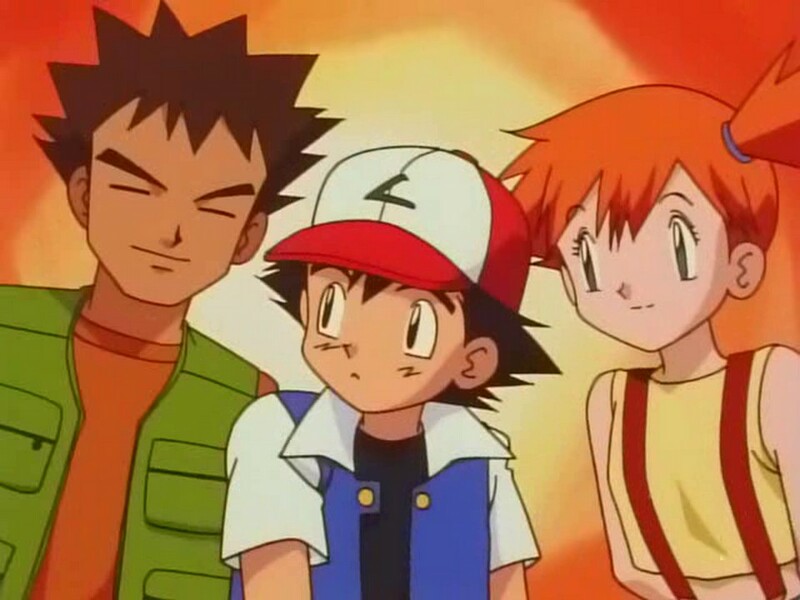 During the Johto League, Misty and Brock continued to sit on the sideline as assistants, but they stopped giving advices to Ash, since he proved to no longer need them. Regarding his character, he also started to consolidate its sweetness, visible especially in respect to his pokém on, which he lovingly cuddled and comforted especially if sad or frightened. 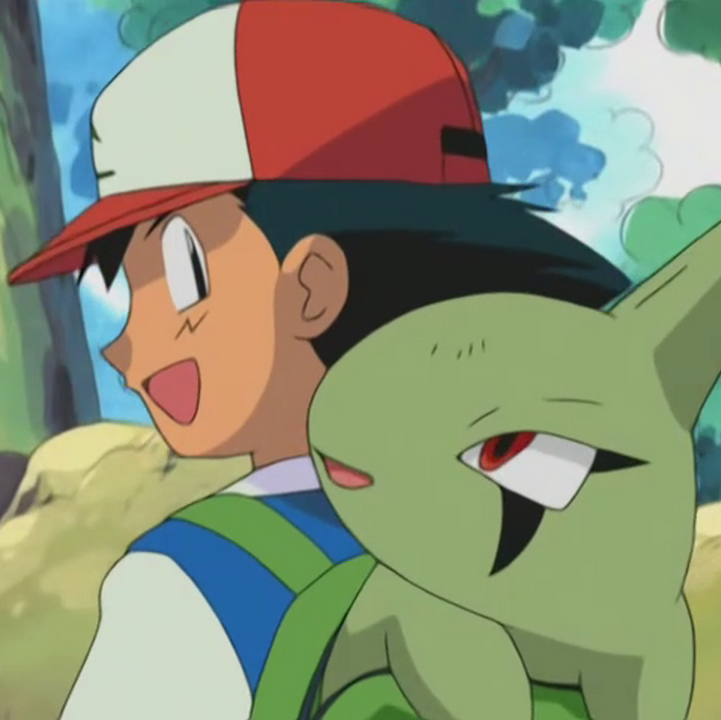 He won his Chikorita’s love (currently Bayleef) that in many cases was also assuming attitudes of jealousy towards Ash. 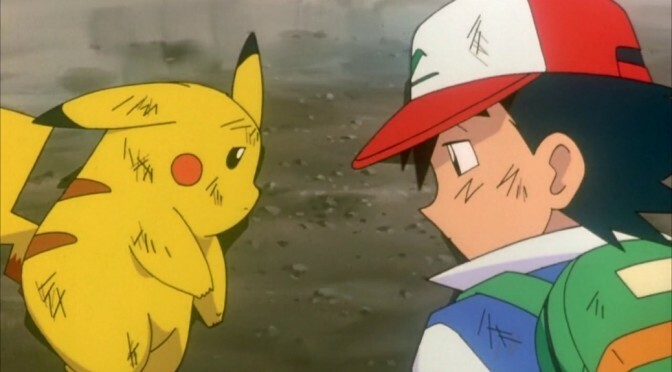 During this series the fights between Ash and Misty also started to decrease. 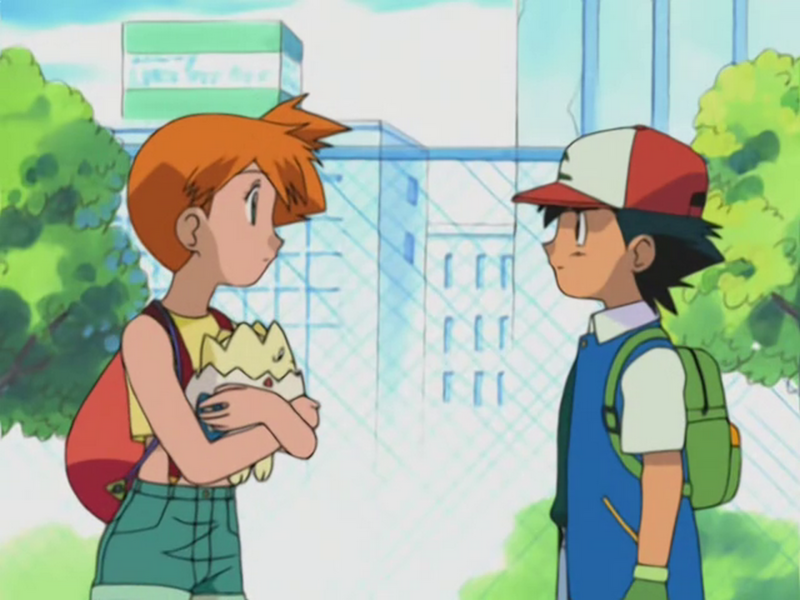 In fact Ash, especially in the second half of this saga, has become sweet and cute even towards Misty (and of course vice versa), until he reached the apex, in the episode in which they separate. 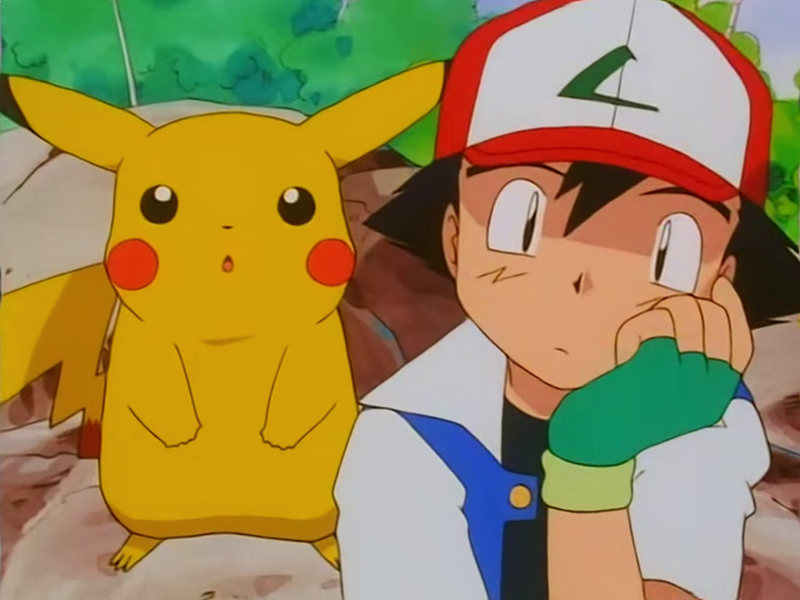 After finally having defeated Gary and after saying goodbye to the friends who accompanied him on his journey until Johto, Ash looked slightly bewildered, because from that moment on, he would have to go on by his own, but being extremely positive, he took the opportunity for what he considered a new beginning: he left home all of his Pokémon except for Pikachu and departed towards the Hoenn region, in order to start a new adventure, but this time, all on his own. Once arrived in the new region, Ash’s new tra veling companion has become May, a novice trainer initially very awkward and clumsy. 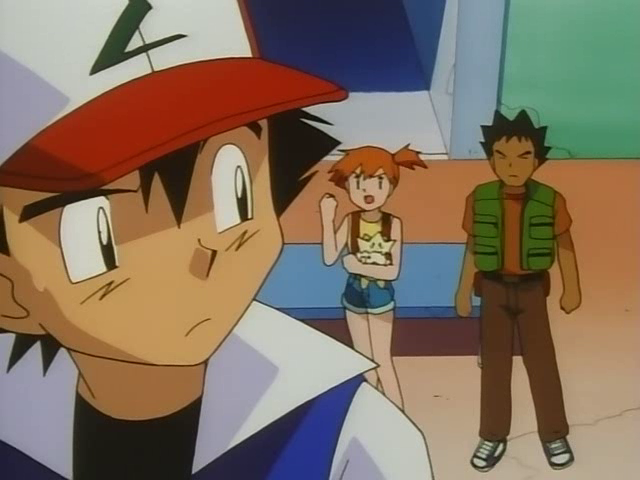 In fact, from this series on, Ash began to assume the role of veteran trainer (although at first a little insecurely), helping May with advices and instructions about the lives of Pokémon trainers: role previously held by Misty and Brock towards Ash. In the middle of this third generation, Ash has finally stopped taking conceited attitudes, even giving May wise adviced, who suddenly, in the series, started to take the same behaviors. Once May has become an expert coordinator, she expressed her gratitude to Ash for all the things he teached to her. 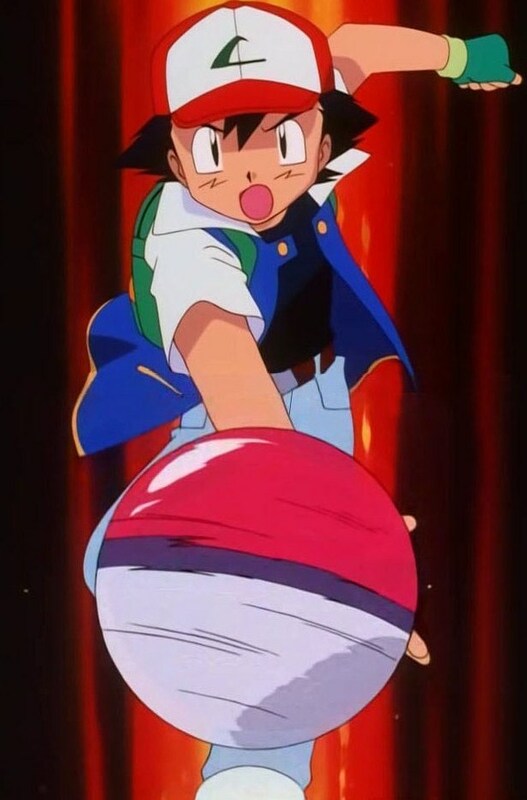 As for Ash’s talent on Pokémon battles in this generation, as already mentioned, he became much more mature and expert, his Pokémon battles became truly immersive and his skills as a strategist have gradually consolidated, bringing him, at the end of the Battle Frontier series, to earn the title of Battle Frontier Master. 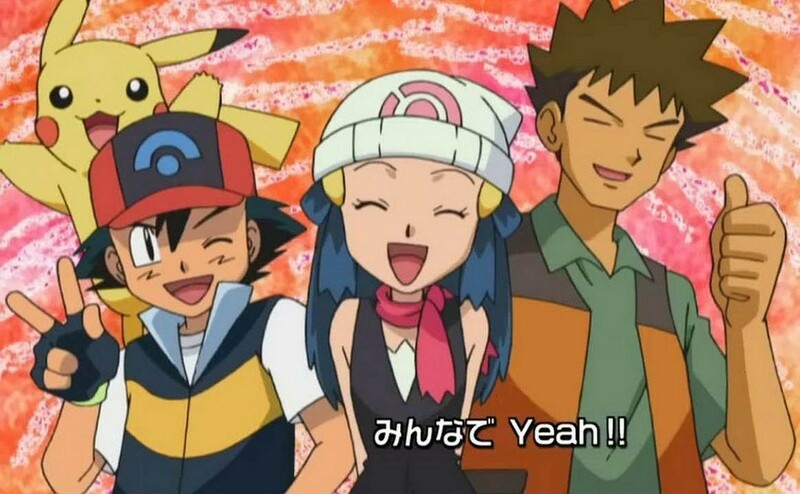 During the series Battle Frontier, because of the change from 4Kids to Pokémon USA, Ash’s voice has changed from Veronica Taylor to Sarah Natochenny. The latter was chosen because she has a voice much like that of Rica Matsumoto (Japanese Ash’s voice actress), but more mature (although female) and better suited to the current Ash, since he is no longer a child. 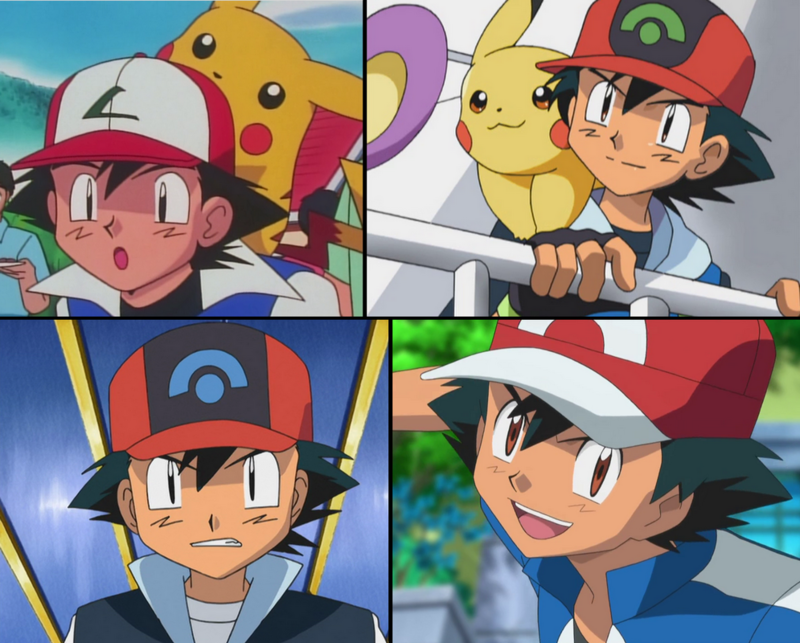 The DP series has represented the apex (prior to XYZ) of Ash’s growth as a person and as a trainer. 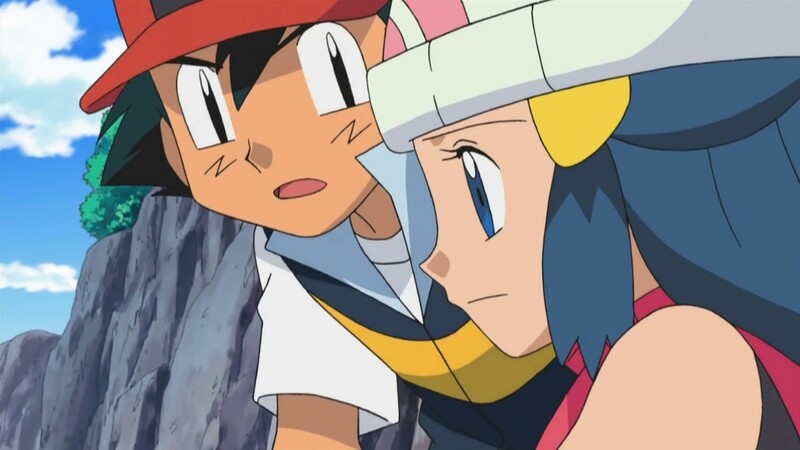 Here, too, he has had to deal with a novice trainer (or precisely a coordinator): Dawn, which immediately showed a lot of admiration for Ash, thanks to his skill as a trainer and for his gentle and reassuring personality. Dawn often tended to become demoralized, but Ash promptly intervened trying to reassure her and to instill her a bunch of self-confidence. He also helped her in her trainings. 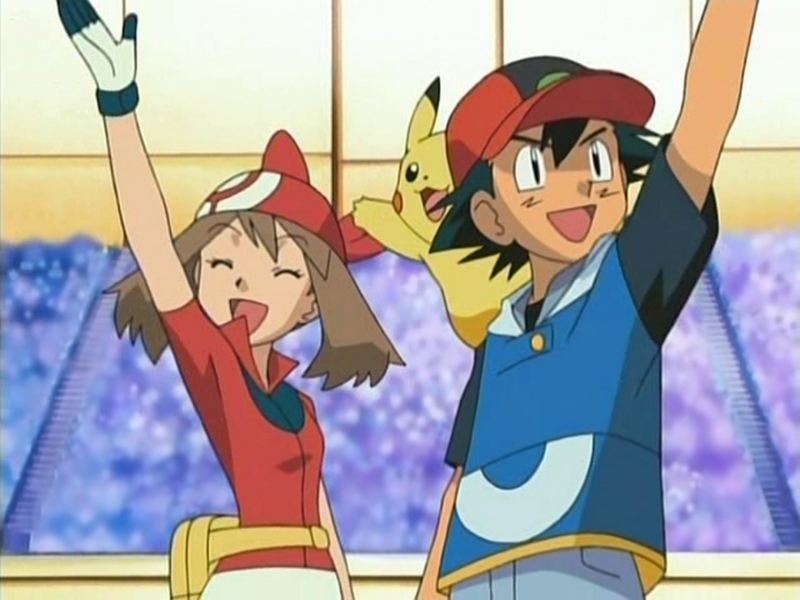 After Dawn succeeded in developing an ingenious technique to use in Contests, based on the rotation of her Pokémon, Ash gave her further proof of his experience, using himself this technique, but strengthening it over time with different variants and bringing it to a higher level, transforming it into a brilliant Countershield. 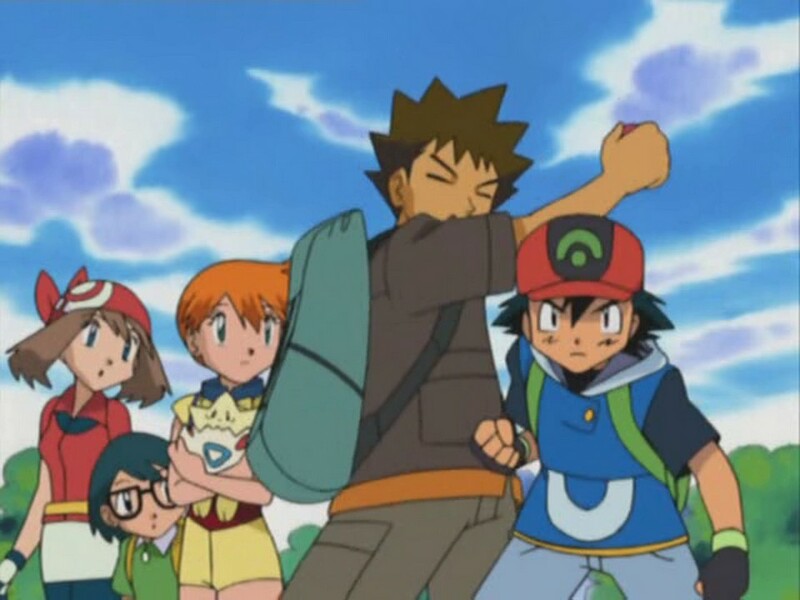 In this series, in fact, Ash has also become an expert in the creation of new battling techniques. 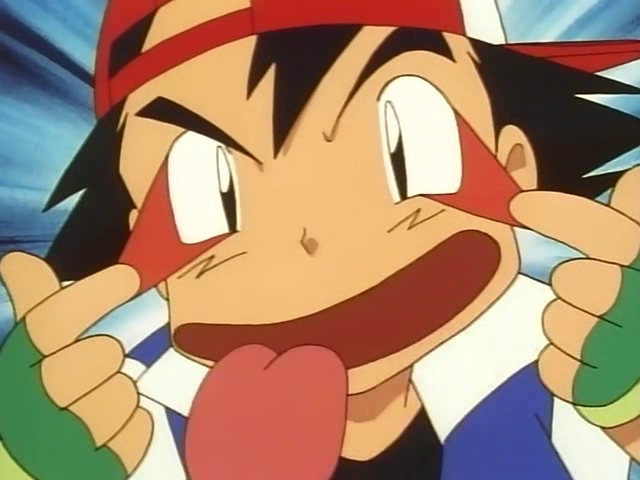 Ash’s attitudes in this generation are very mature (although occasionally his “playful side” continues to come out) and this is also reflected on his work with Pokémon, with whom often turned out to be very severe, but at the same time sweet, especially against the more timid Pokémon. 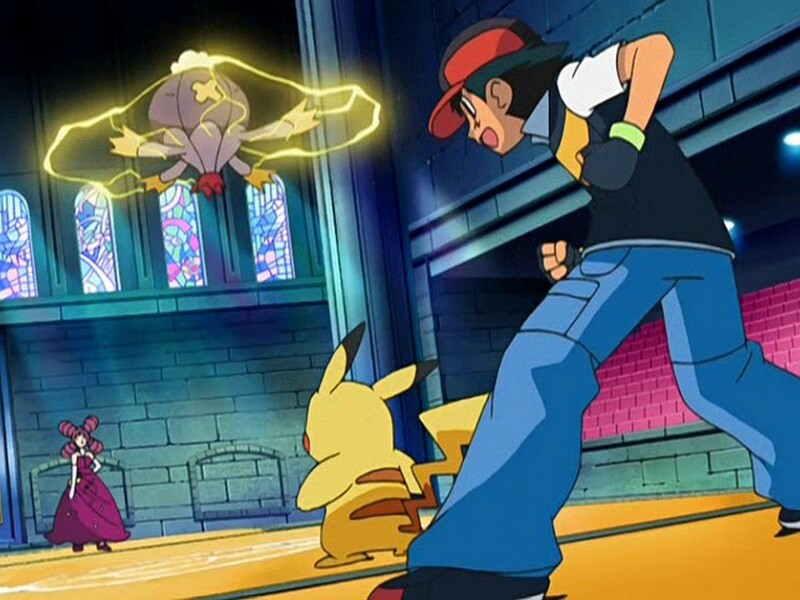 This kindness with Pokémon put him in collision with Paul, a very rigid trainer, whose attitudes were the exact opposite of those of Ash, but in the end, after the most spectacular battle he ever fought, Ash has put into practice all his experience, managing to defeat Paul and making him more friendly towards pokémon. 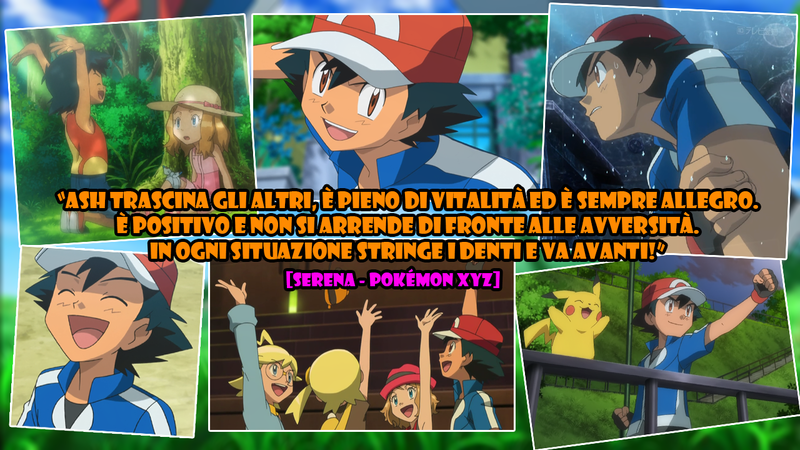 The XY series is considered in all respects a sequel of Diamond & Pearl, because there we find an Ash Ketchum mature again and at the same level where we had left him in that series. That level, in the course of history was even exceeded. 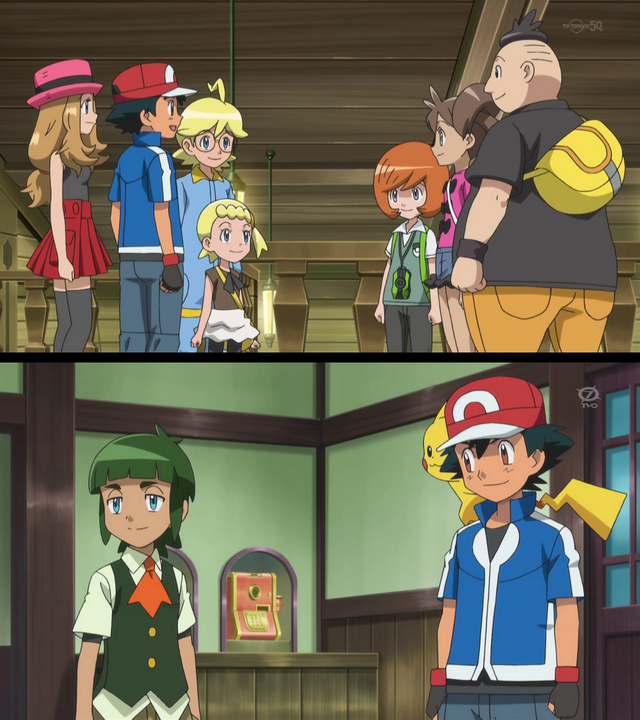 It is not a case, in fact, if in the course of the XY series were included very often statements of the protagonists referring to the “return of the TRUE Ash” (“Show us what the real Ash can do” “here is the real Ash” etc.). 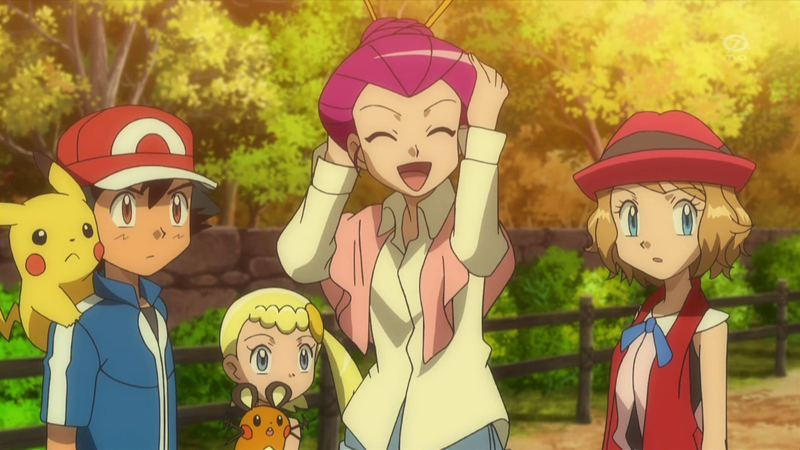 In this series Ash travels with Serena, Clemont and Bonnie. All of them consider Ash a reference point and a special person. They have a lot of admiration for him, and often make use of his advices to deal with life and its difficulties. 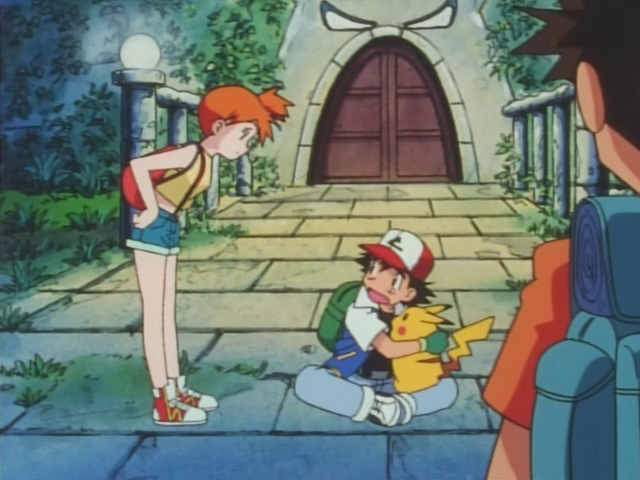 Serena in particular is in love with Ash since they were children. 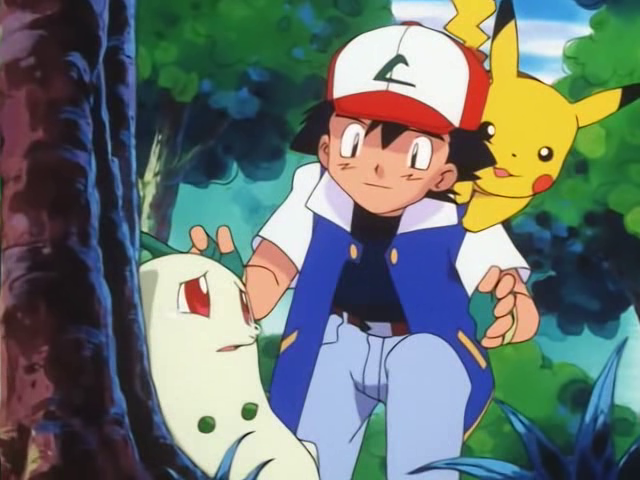 On that occasion, Ash helped her after she had lost in a forest. Translation: Ash drags the other, he is full of vitality and always cheerful. He is positive and does not give up in the face of adversity. In every situation he grits his teeth and goes on! Regarding the physical aspect, Ash’s current height is 5’05” (1 meter and 65 centimeters tall). 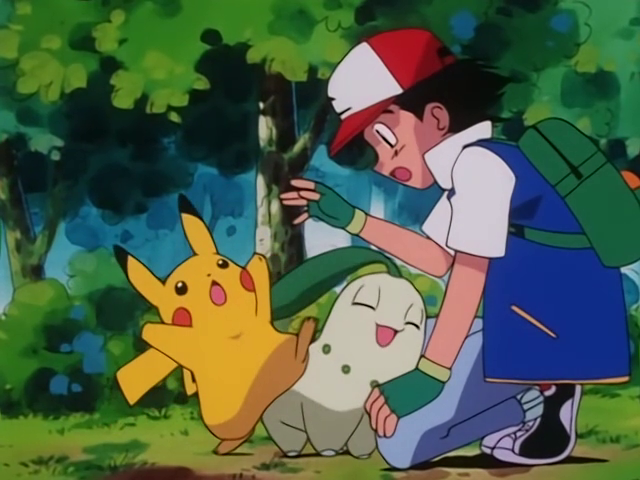 In some scenes it might be a bit disproportionate because, as explained in this Bulbapedia’s article, the anime’s drawers almost never comply with the proportions between Pokemon and characters. 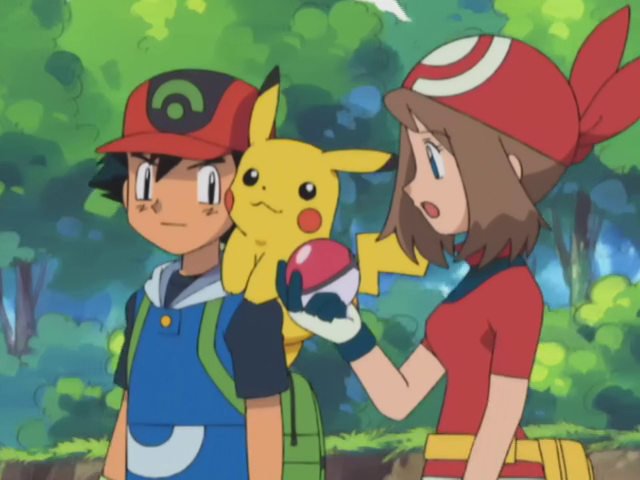 Despite Ash’s height should be a little ambiguous to allow everyone to identify with him, in the episodes it was also possible to note a stature growth. 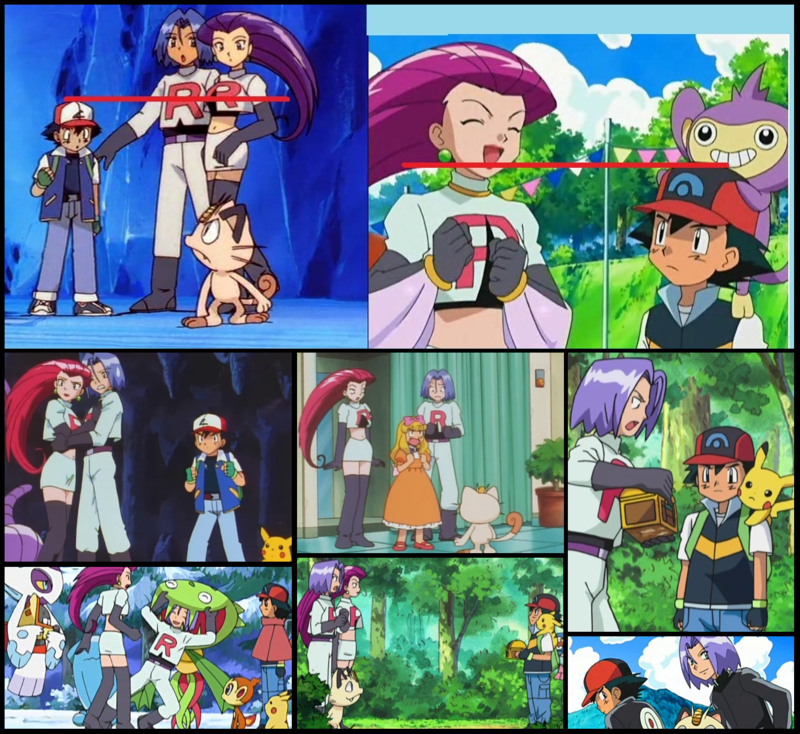 The official proportions of the characters confirm that, in the first series, Ash’s stature was actually the one represented in the examples you have just seen; while in the most recent episodes, Ash is always higher than the first series. 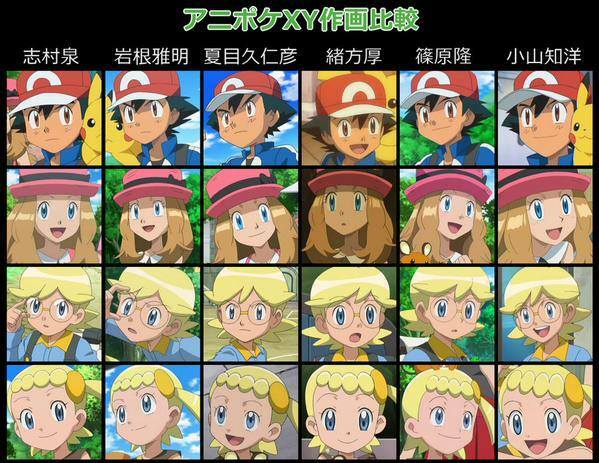 In this regard, it is also a fact that in the series XY, new trainers as Shauna, Trevor, Mairin and Sawyer are all visibly smaller than Ash. As you know, a professor is not allowed to give the first Pokémon to a child under 10 years. For consistency, all the images you just seen are by Masaaki Iwane, the best animation director in Pokémon Anime, which makes the most fluid and realistic designs. However you have to take into account that there are many other designers, each with his own style … some more realistic and some less.